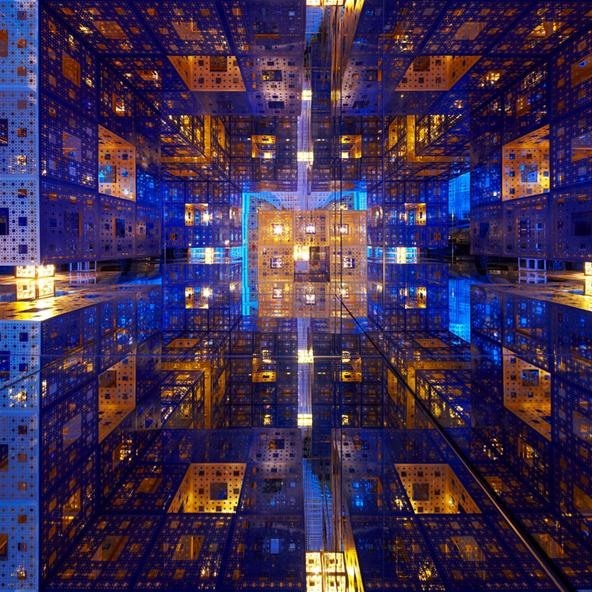 Combine a bunch of fractal objects with mirrors and and lights and the ability to walk around inside and you get something like the image below. For more information on the exhibit as well as several more pictures and a video check out this article. i saw this article. it's really outstanding how experiential contemporary art is becoming... a real joy for non-insider art world people. so great.